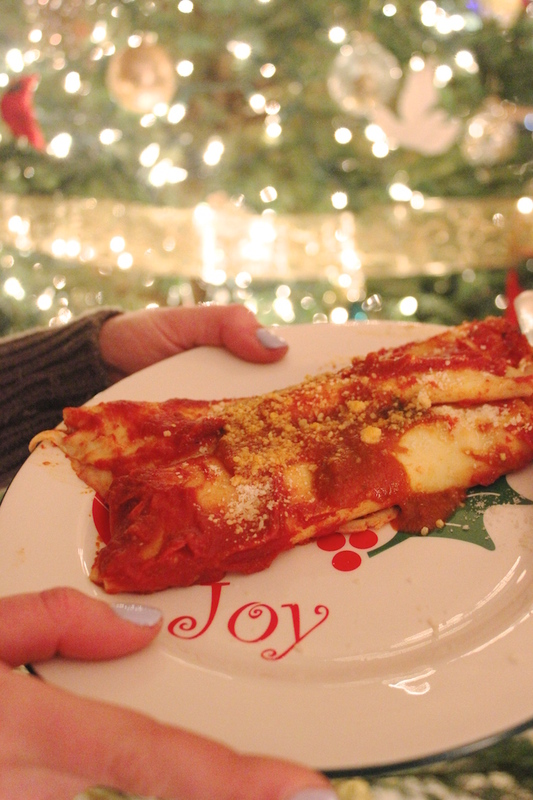 My Grandpa Tort cooked once a year – to make Manicotti for Christmas. Talk about a signature dish! That’s just how good, and easy this is to make. 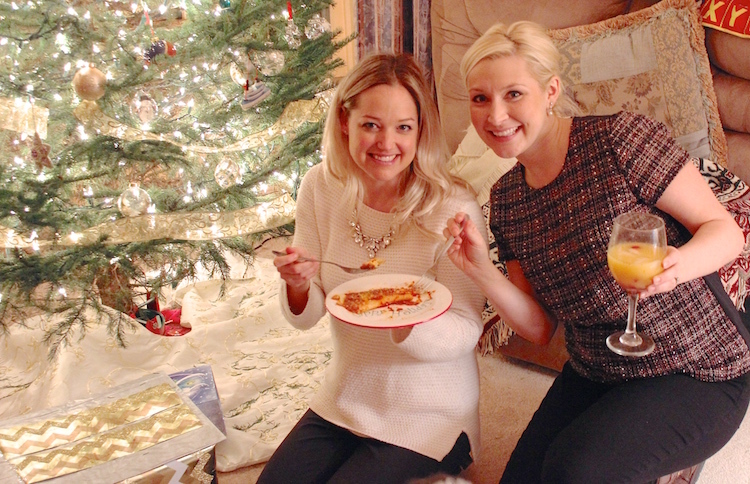 Us “kids” always left the holiday cooking up to the grown ups. 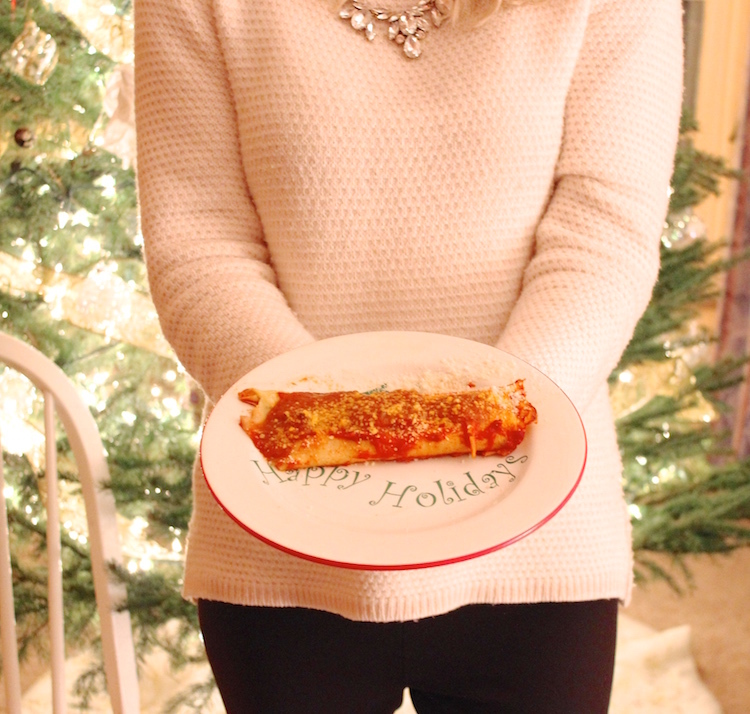 While we were all playing with our new toys from Santa, they would be cooking up deliciousness in the kitchen. This year, the real adults decided it was time to prepare for retirement so to speak. 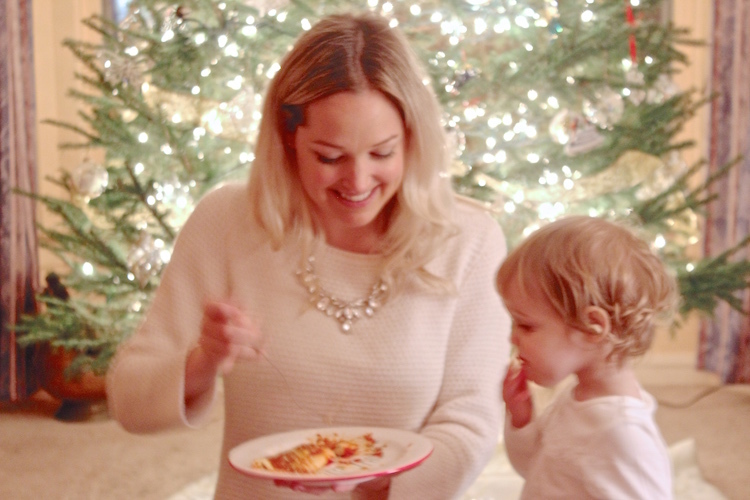 Since us “kids” are having kiddos of our own nowadays, it’s about time we learned the ropes around the Christmas kitchen. One of the best parts is that you can prepare this ahead of time (up to 3 days!) before cooking it. 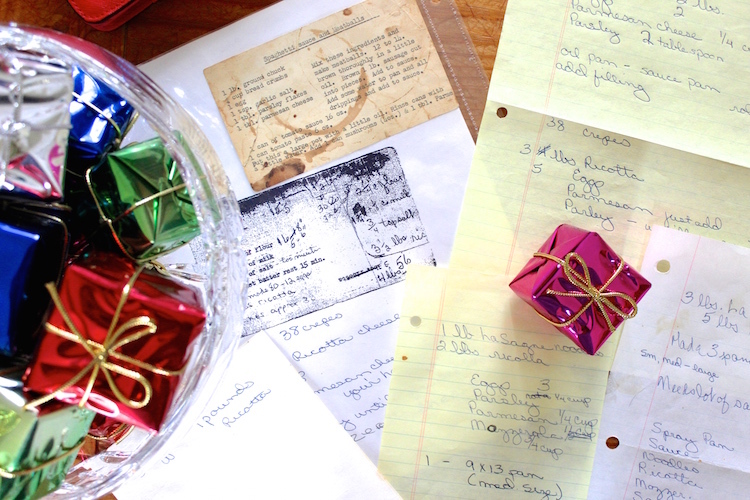 I’d say follow this recipe closely – but as you can see by my Grandma’s hand written recipes from over the years, this recipe has slightly evolved over time. This dish can be served as a hors d’oeuvre or entree. It has 2 parts, the crepe and then the filling.I am definitely not a food blogger, but I tried to give the best breakdown (and photos!) I could to share with you. Let’s start with the crepes! 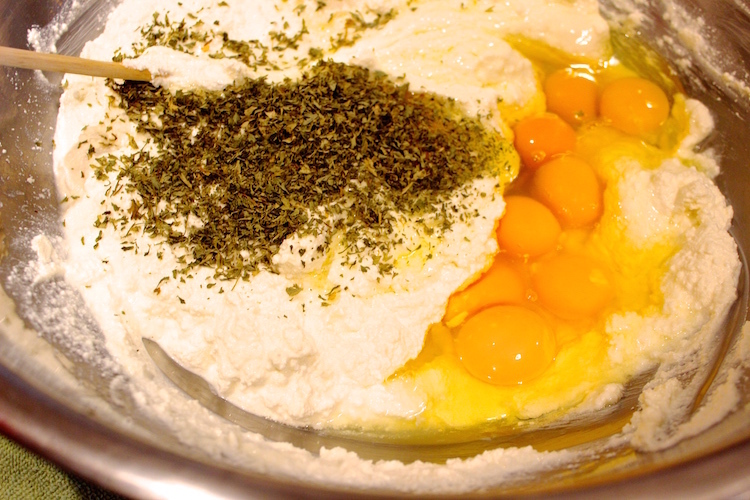 Mix everything in a bowl and whisk. (If it’s too thick, you can add a little water). Let the crepe batter sit for 15 minutes to set. Coat a pan with olive oil and heat over the stove (medium heat should do the trick). 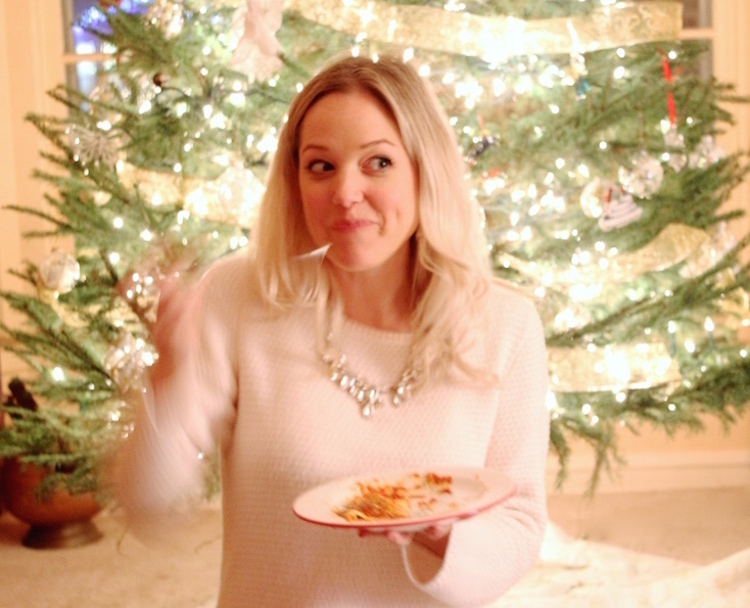 “Always throw out the first crepe” – this was stressed to me by many family members! But you’ll probably see why when you give it try, especially for the first time. 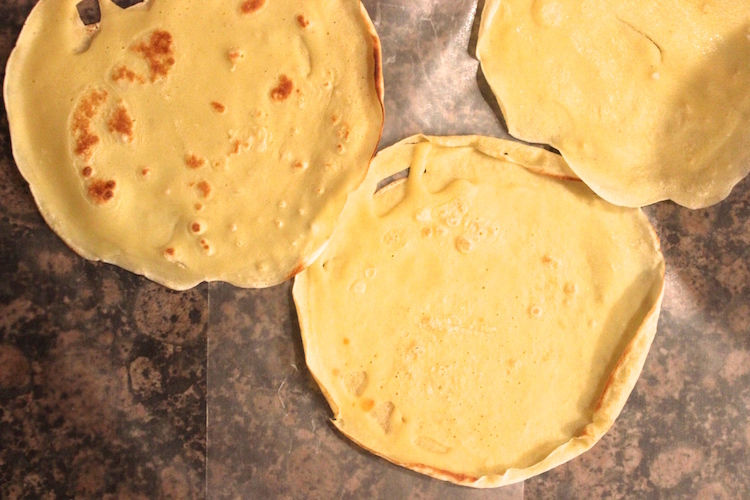 Set the cooked crepes on a sheet of parchment paper (or wax paper) to cool. 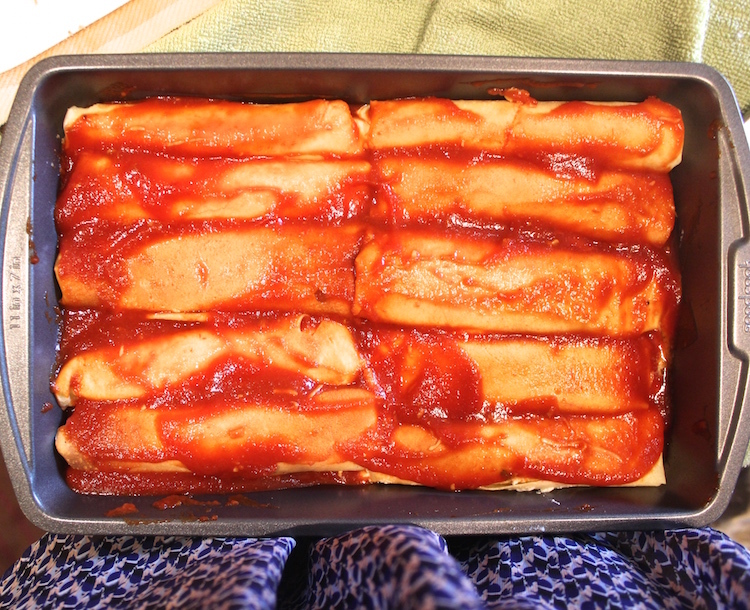 Coat the bottom of a baking pan with a thin layer of tomato sauce (or “gravy”). Add about a large spoon full of filling onto the crepe, roll and place in pan. Line them all up and add more sauce on top. Tip: spread the sauce with the bottom of the spoon. Make sure to get the tomato sauce all the way around (don’t expose the ends of the crepes to the side of the pan) to prevent burning. Put foil on top. You can make this up to 3 days ahead of time. Loosen ends of foil before putting in oven. Cook at 350 degrees. Thanks for stopping by! And thank you to my Aunt Joan & Uncle Mike for sharing your kitchen, my mom for her patience while teaching us this recipe and to my brother John for helping with the photos! 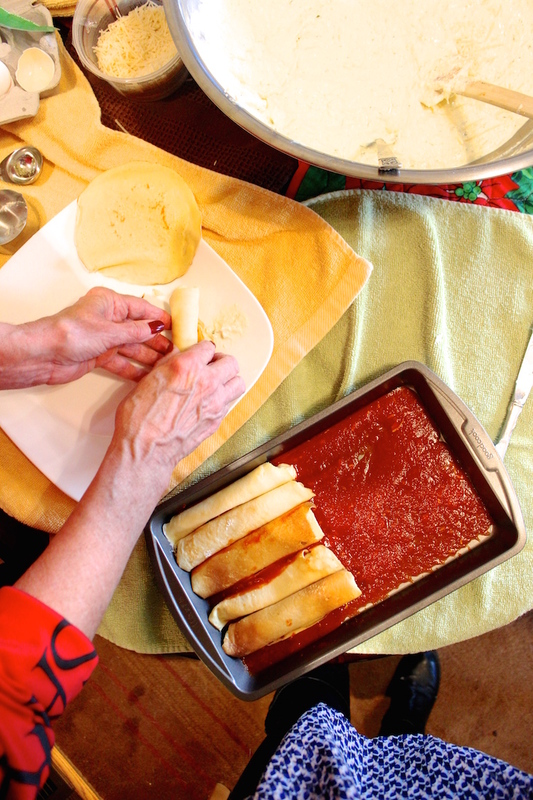 What’s cooking in your kitchen this holiday season?